Miss Dunne and Miss Khan are the Year 5 team this half-term! This term we are looking at two topics; Rock and Roll and Earthlings. Rock and Roll is our overall topic, where we will be exploring rocks, volcanoes and the history of Stonehenge. Earthlings is our English topic, exploring the science fiction theme. 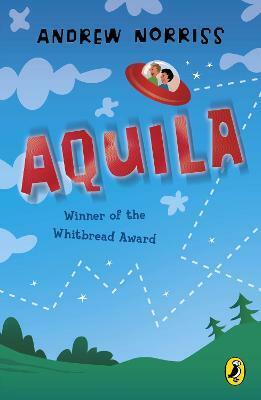 We are reading various texts and stories linking to this theme, mainly focusing on the story Aquila. Our class governor is Mrs Jamil. Every Thursday MyMaths homework is set. This is done from Thursday to the following Thursday, where then new MyMaths homework will be ready for completion. This is set based on the topic we have been learning that week in school and reinforces the strategies that have been taught in class and then can be reinforced at home. All children have their MyMaths logins, however, if they have been misplaced please message me via ClassDojo. Spellings are sent out every Thursday, for the children to learn and practise over the following week. These spellings are linked into our spellings lessons of the week in school and then the children will be tested on their knowledge and understanding of each spelling on Friday. Additional homework will be sent home on a regular basis. This could be either English, Maths, Topic (or all). These do not need to be brought into school until the rest of the homework needs to be completed and brought in. The current date for this is 11th February 2019. Linking to our topics, our classroom is based on the themes; Earthlings and Rock and Roll this half-term. We are extremely proud of our classroom and like to show off our work. The children have been bringing in their 3D volcanoes by completing their homework at home. They are all amazing. Well done Year 5! I am so proud of you! We develop our vocabulary in all topics, looking specifically at why the words are important and relevant. Test your children- see if they know which words are linked to each topic! We have began to read the story Aquila and pieced together the events so far using a story map. We thoroughly enjoy doing this activity in our class and get so much out of it! We hope you had a lovely break. Our new topic for Autumn Two is Water, Water Everywhere, where we will be focusing on all aspects of water throughout our lessons. We are having a visit from United Utilities towards Christmas to discuss the water cycle, water safety and water usage. This year taught by Miss Dunne, Mr Fraser and Miss Wallace. A Kingdom United and Hunted. We will be looking at mini-beasts and their habitats, looking further into how mini-beasts can be classified by their characteristics and exploring the food chain in depth. We believe that it is equally important to hear each other read, as well as having independent reading time. We have begun to read Michael Morpurgos’ Outlaw as our end of day novel! Please do not hesitate to contact me in school or by Class Dojo if you need anymore information.